Dr. Michael Pellegrinon joined DentFirst in 1989. He received his high school degree in Germany where he lived with his parents who were in the United States military. As a result, he is fluent in German and has had the opportunity to travel extensively through Europe. Dr. Pellegrinon spends his free time renovating his older Atlanta home, through restoring furniture, and working on his home computer. (His latest interest is computer generated music using his keyboard’s MIDI interface.) He also enjoys gardening, walking and cycling when he gets a chance. He particularly enjoys cosmetic dentistry and making beautiful smiles for his patients. 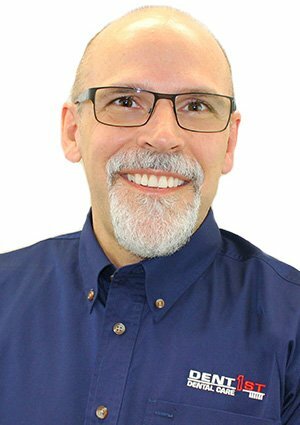 Patients can visit Dr. Pellegrinon at the DentFirst Norcross and Duluth offices.